Stay one step ahead of the weather with this easy-to-read Tenby aneroid barometer, suitable for indoor or outdoor use. Displaying changes in atmospheric pressure, it gives you fair warning of imminent weather so you can be prepared - and batten down the hatches if necessary. Great for gardeners and amateur meteorologists alike. 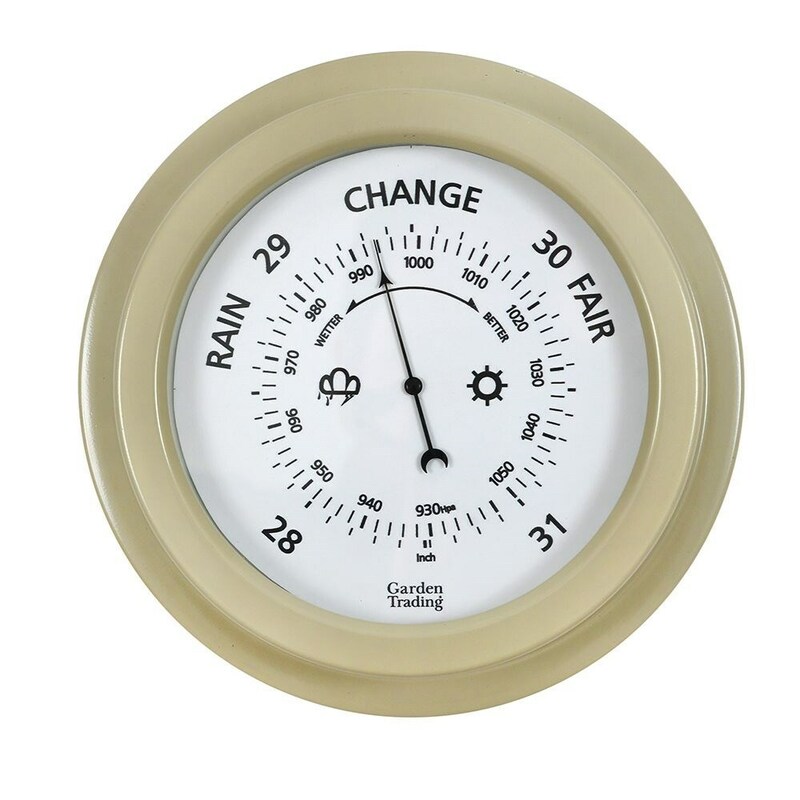 Part of a coordinating range that also includes a clock and thermometer, the weatherproof steel and glass barometer comes finished in a neutral Clay powder coat that will blend into any setting. Includes built-in keyhole hook on the reverse for easy hanging. Supplied in a natural kraft presentation box.